You may recall last week I blogged about my daughter Zsia's mother in law, Sheila, 68, in the hospital with lung and stomach cancer after 50 years of smoking. She hadn't been sick in 30 years and didn't believe in doctors and western medicine ... or any medicine for that matter. I last saw Sheila on Thanksgiving, and knew she was dying, but said nothing. 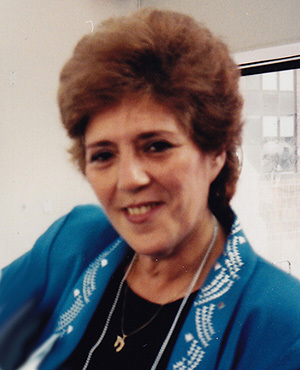 Sheila was staying at her apartment in Brooklyn with her husband Joel, thinking about returning to their condo in Ft. Lauderdale, yet I knew that she didn't leave with the other "snow birds" this season because she intuitively knew she was dying and most of her family lives in the northeast. On Sunday morning at 4:20 I woke up as Sheila was standing beside my bed, trying to get my attention. She looked so sweet and yet confused. She told me she was afraid to cross over and could I help her. I agreed and said to look for Z to guide her way (everyone knows about Z). She smiled and left as I drifted back to sleep. I half expected to hear that she passed on Sunday, but she remained as if waiting for something or someone. Tuesday her daughter, Paige came here from Florida. Last night as I feel asleep, I saw Sheila's soul slip away as if into the black void of creation ... that was new. Sheila died this morning around 3am. She only suffered for one week as far as anyone knew ... but when she came to talk to me and Zsia this morning ... she told us she "knew" for several months that she had cancer, by her own diagnosis, and didn't not want to go through chemo, etc. a choice many people make. Thanks for hanging around Sheila. Stop by any time. I just got this email from my friend Pat. "I had a dream last night that Sheila passed at 4:42am - close - but I guess had your time frame in my head. My condolences to you all and blessings on Sheila."